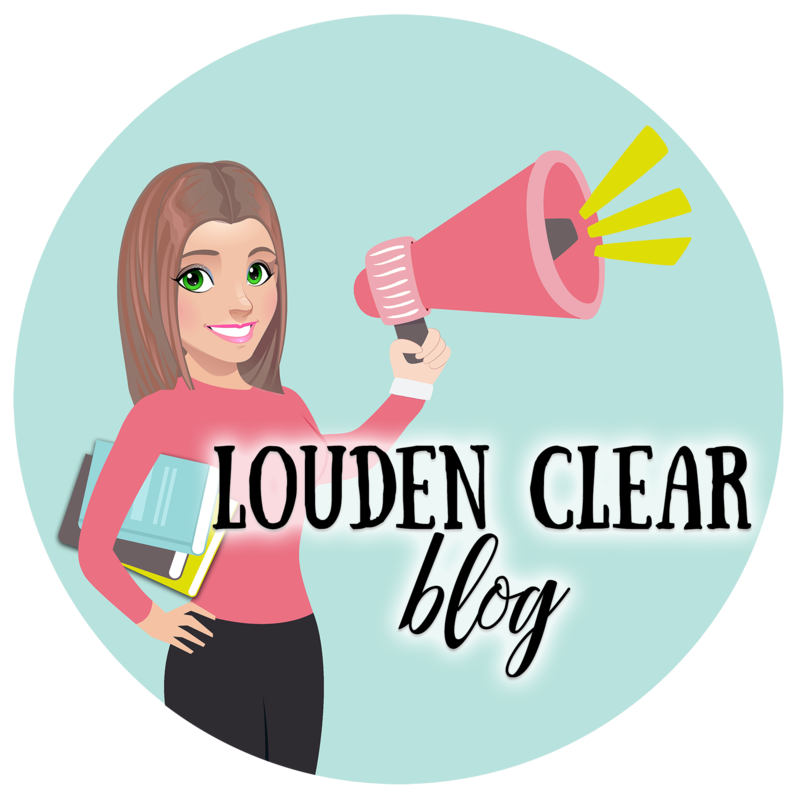 Last week we had one lest ten-minute PD, and I showed my colleagues (okay, two of them) what methods I use in my classroom to make things run smoothly. 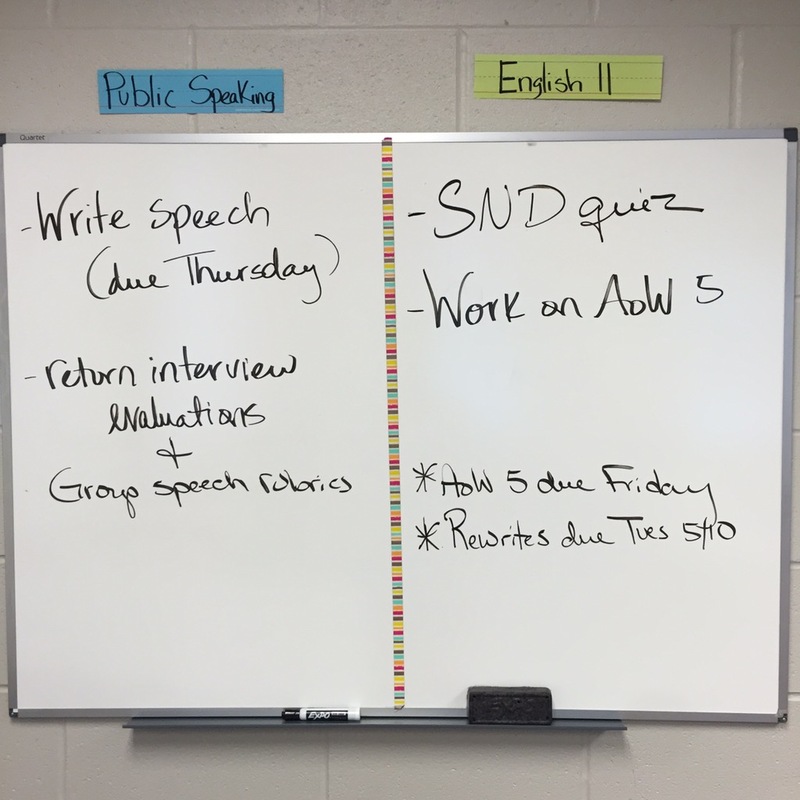 First up, last year I used my school money to purchase this smaller (3′ x 4′) white board that I use as our daily agenda. Since the year is winding down, there isn’t a ton on there, but if I forget to update the kids always ask “what are we doing today?”, so I guess it’s working! Next up is probably the best new thing I’ve implemented this year–an idea I got from my friend and colleague Thea. I bought these cheap whiteboard stickers and put them on my closet door. 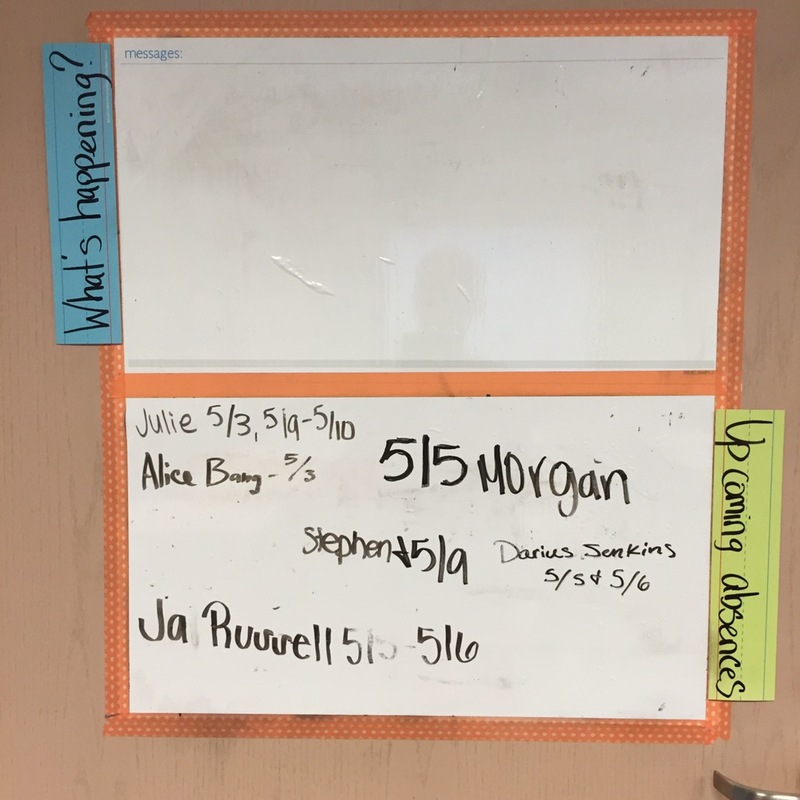 As you can see by the labels, the top one is for students to write down events happening at school (they’re not very good at this), while the bottom one is for students to put their name and the date of planned upcoming absences. This has been extremely helpful for planning purposes. Plus, making kids write it down reminds them to come see me about their work and holds them more accountable when they return. I keep a cup on my desk with EXPO markers and the kids keep up with the board (writing, erasing, and reminding others to put their absences on the board). For the kids who were absent, I have a Make-up work folder. 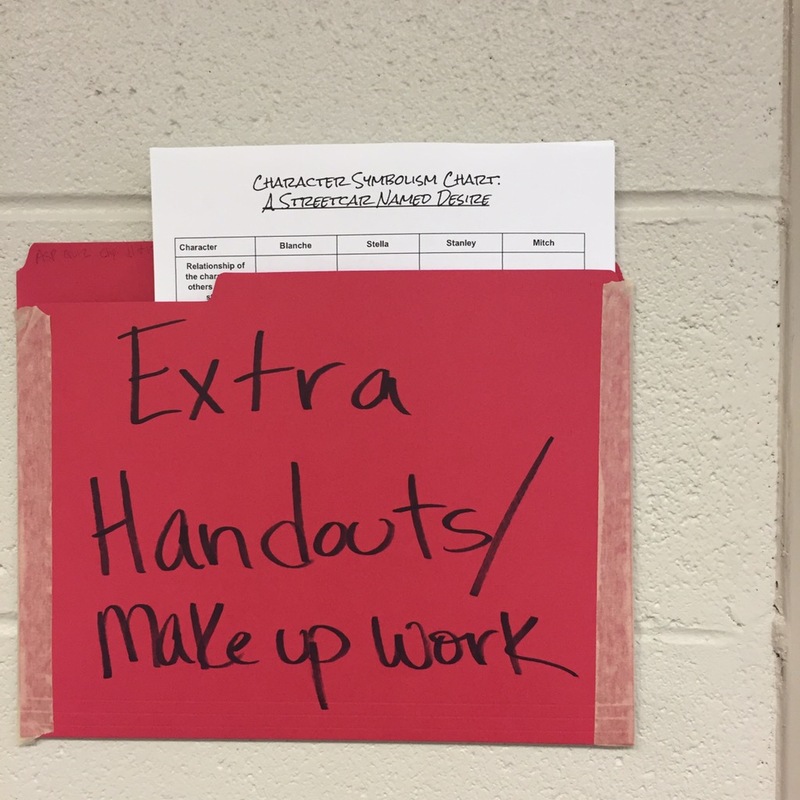 They know to look in this folder on the wall to find any paper handouts (in addition to checking Google Classroom, of course). This has been handy because, honestly, I’m too lazy to keep up with a folder for each day of the week. So, whenever there are handouts left over, I just stick the whole pile in here and about a week later I recycle them. In addition, I have an area for news, reminders, and the schedule on this board. I also keep (top right) a space for “No Name” assignments. I just hang them up there when they come in and wait for the students to find them. On top of the shelves below you can see the In Box for paper assignments, tissues, extra writing utensils (what I find on the floor goes in the cup), tissues, germ-X, a stapler, hole puncher, and pencil sharpener–basically all the things a student might need. Did you know you can write on your windows with EXPO markers? Last year my friend Emily started doing it, and I was like MIND BLOWN. I love it because it extends my board space, but I don’t have to be in a hurry to erase it. The windows are perfect places for year-round reminders that may need updated or changed throughout the year. 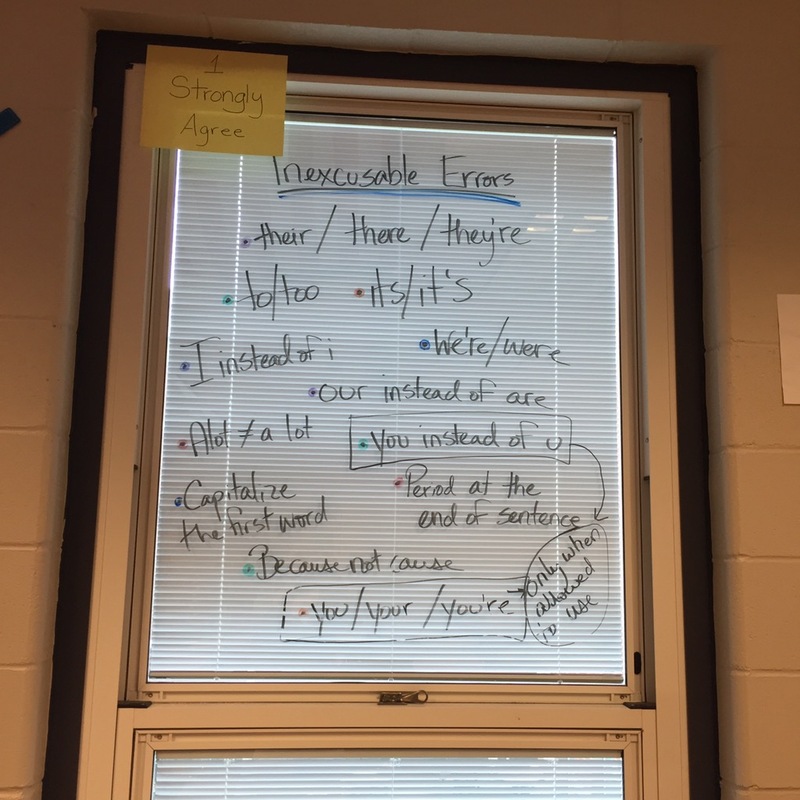 One window includes words to say in place of “Show”, one has words students should stop using in their writing, and this one covers reminders of the “Inexcusable Errors” that students were to avoid making this year. You could always see a few kids in each class checking out the windows while they were writing. So again, they worked! 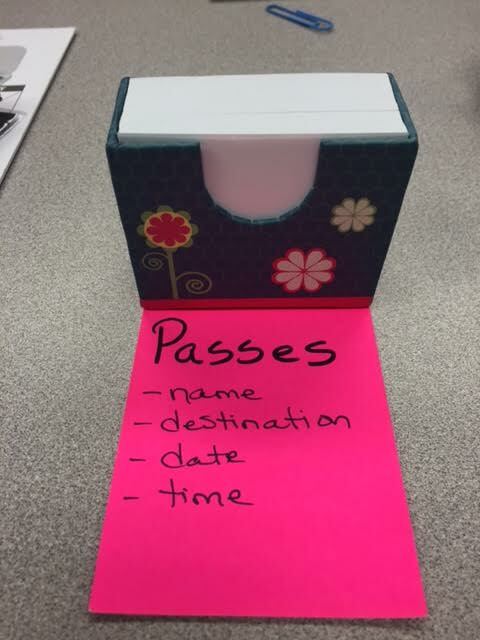 And finally, I have this little pass system to put kids in charge of pass writing. I found this handy little box of tiny pieces of paper, so I attached it to a note card with directions about what belongs on their pass. It saves me having to explain the process every time a student goes anywhere. The other day a student said, “Mrs. Louden, you’re so organized.” I’m not gonna lie, it warmed my heart. Coming soon: ideas for next year! 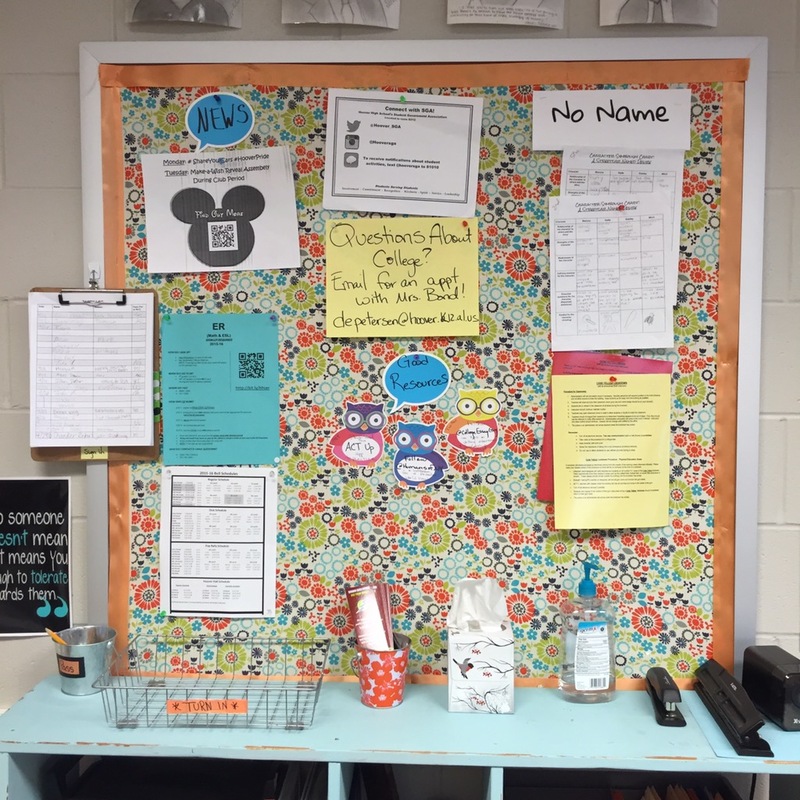 What systems do you have in place in your classroom to make it run more smoothly, to utilize your space, or to be more efficient? I’d LOVE to hear more ideas! So many great ideas, and I especially love the tardy passes they have to fill out if they come in late!